We are pleased to announce the launch of our brand new website! 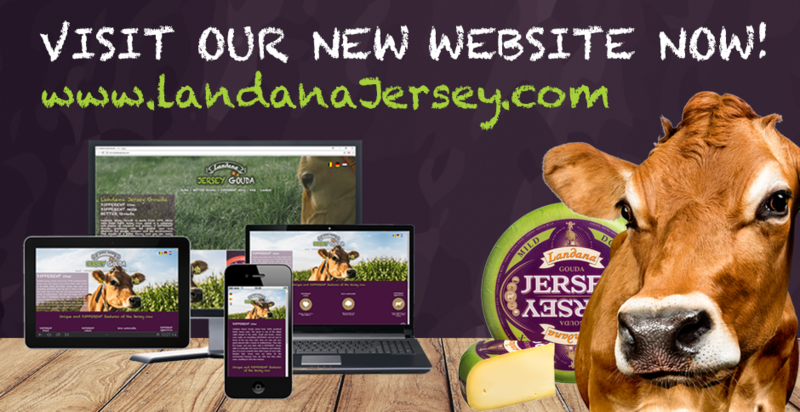 Our Landana Jersey Gouda website is now live! Take a look at www.landanajersey.com. Discover a DIFFERENT cow, DIFFERENT milk and BETTER Gouda! Landana introduces a unique new Gouda, made of full milk of a special cow: the Jersey cow. The meadow milk of these cows is naturally rich in proteins and minerals and has a full and creamy taste. Taste the difference and enjoy Landana Jersey Gouda from Holland. 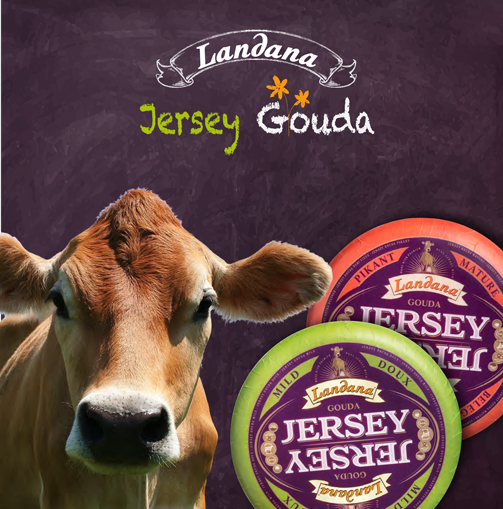 Landana Jersey Gouda is made from 100% all-natural milk of Dutch Jersey cows. The Jersey cow is a purebred cow. The meadow milk from these friendly light-brown Jersey cows is truly something special. Dutch Jersey milk is easy to digest and contains more nutrients than conventional cow’s milk. Jersey milk is rich in protein and healthy fats, such as Omega 3, and has twice the vitamins and minerals as conventional milk. Taste the difference in the creamy, smooth Landana Jersey Gouda.